Googling* yourself or comparing yourself to others is the way to madness. However, I was overcome with the desire today to see what my top performing photographs were on flickr. To my surprise it was the photo featured above with 14,384 views and 12 favourites. 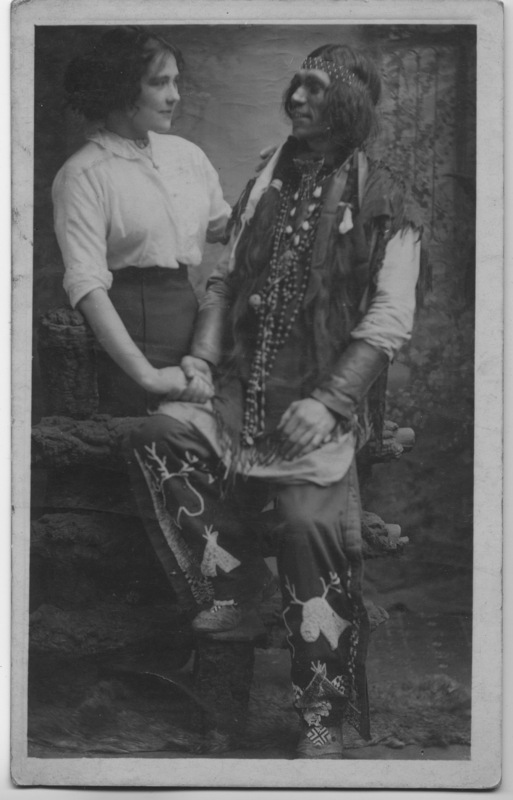 Interestingly it was this photo, bought at a table top sale, which really kicked off my interest in old photographs and I still know nothing of its origin or whether this is a real native American or someone dressing up for a studio shot. 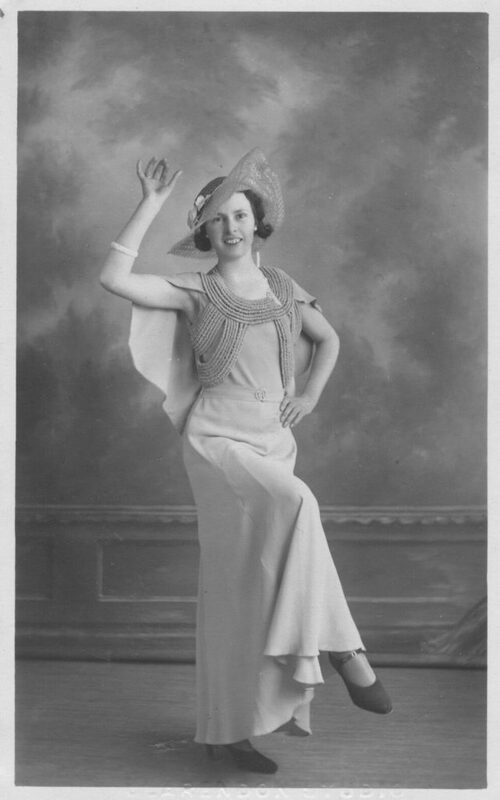 Next most popular is one of the early additions to my “vintage dancing girls” collection with 10740 views and 13 favourites. 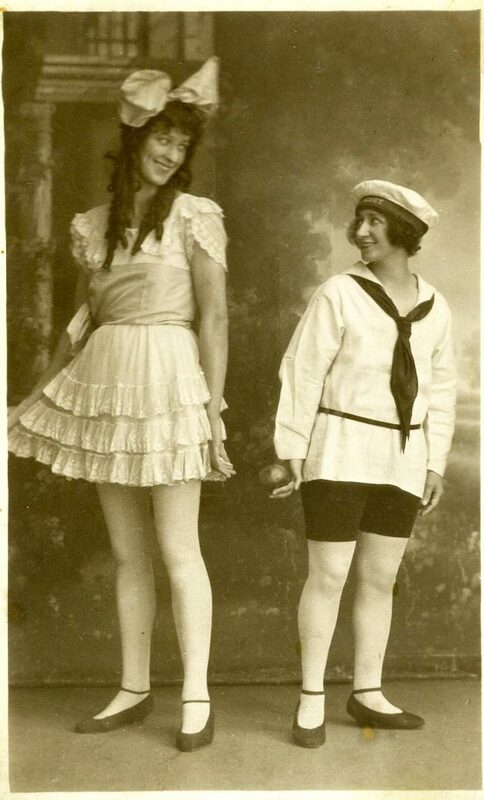 It’s probably 1920s in origin and from a studio in Philadelphia. 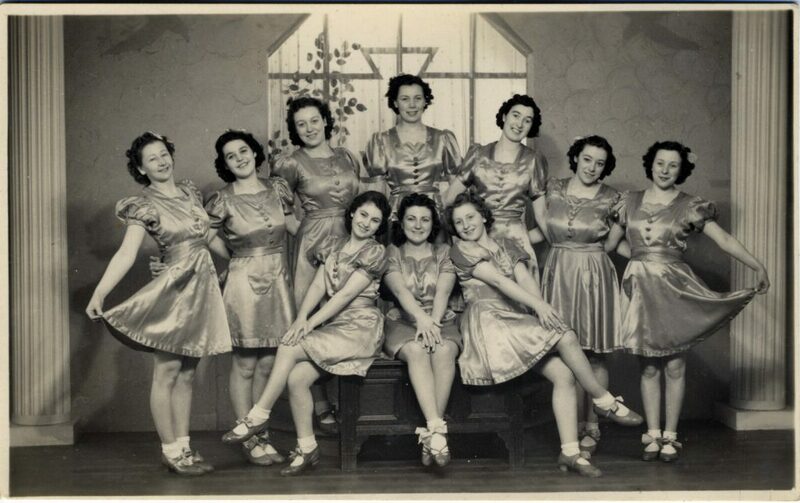 Third is also from “vintage dancing girls” with 10225 views and 12 favourites. The tall “girl” is a man. What on earth were they thinking when they posed for this? 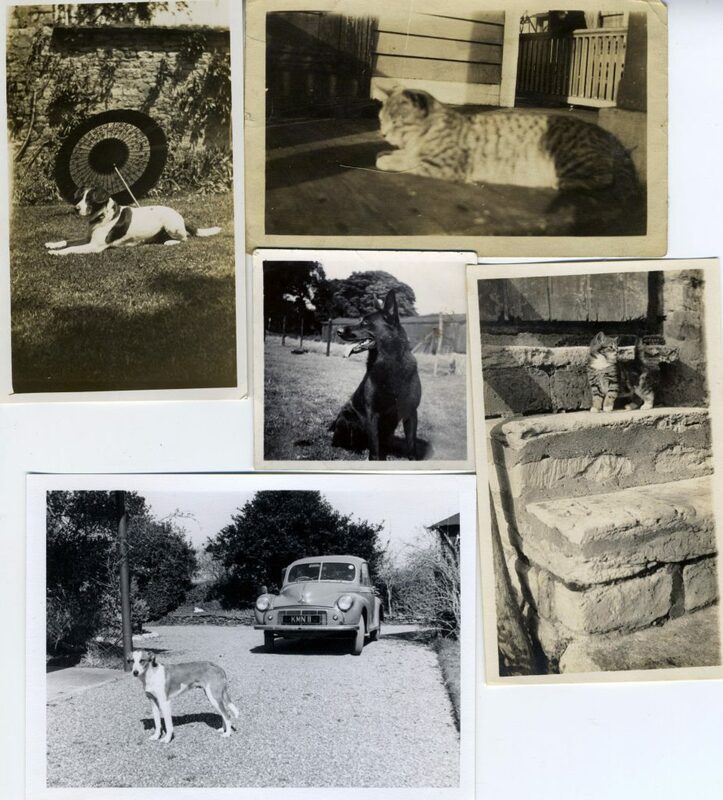 Overall the old photos I scan and put on flickr do much better that my own stuff and personally I use flickr for seeking out old and odd photographs. (It’s also why I bought Miss Peregrine’s Home for Peculiar Children when it came out and I still think the photos in it are great but the writing is pedestrian). 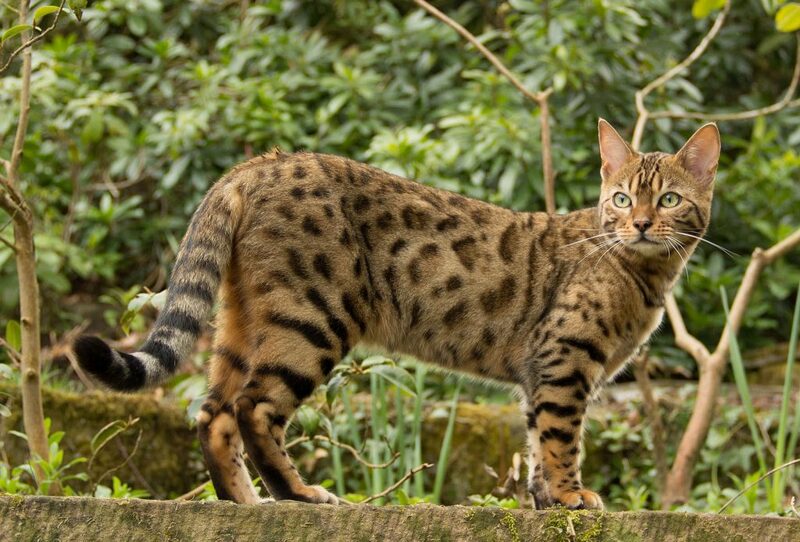 As you might guess my next most popular postings, after the old photos, is photos of cats. Bel, for instance, scores 1132 views and 11 favourites. *Actually I don’t recommend googling yourself. If you must do it then DuckDuckGo yourself. 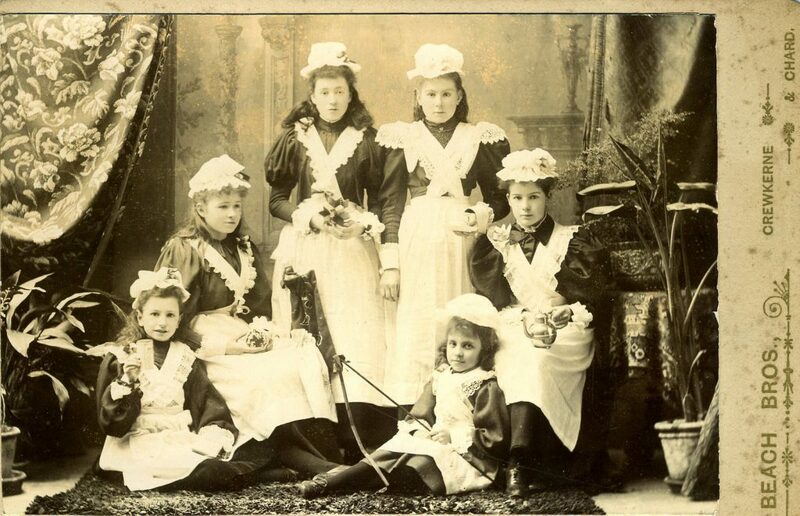 Author alexandmaxinePosted on April 25, 2018 Categories PhotographyTags cabinet card, cats, dancing girls, photography, vintage dancing girlsLeave a comment on Who’s Got the Biggest? 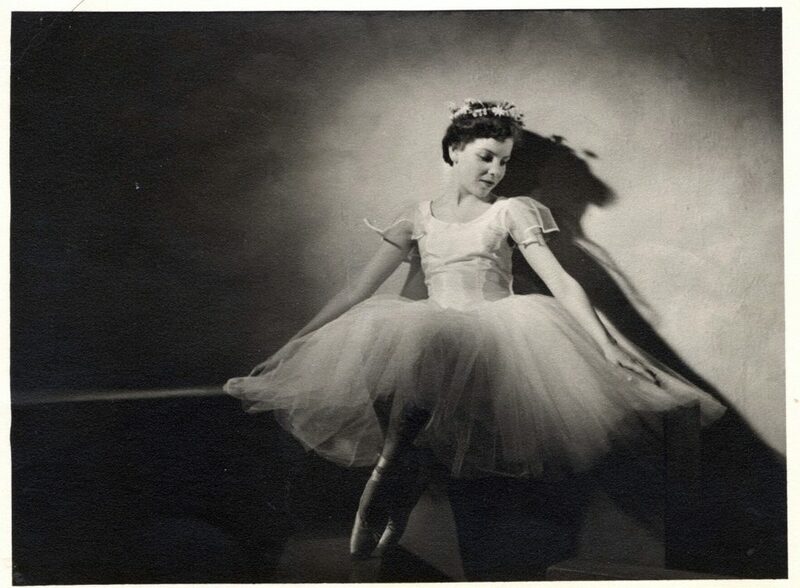 My most recent acquisition is an album of ballet and ballet-related photographs together with a handful of loose photographs and clippings, also ballet-related. Most of the photographs are from Weymouth, or at least the photographers were from Weymouth. 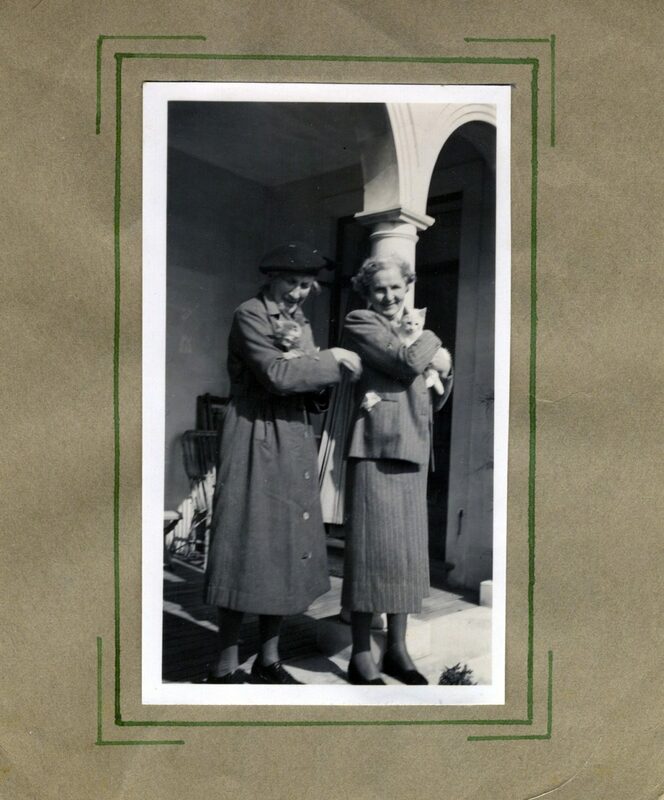 The album containing the photographs is from a stationer in Weymouth too. 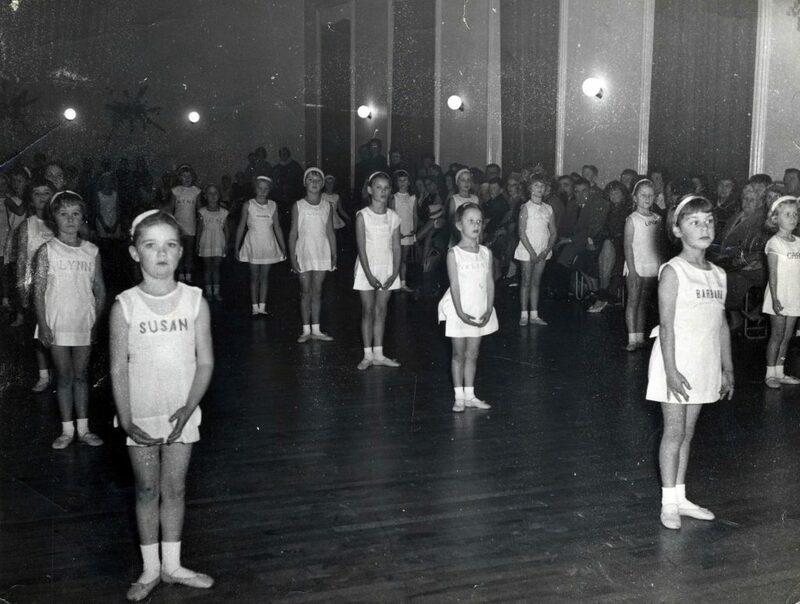 There are two frustrating things about this collection; firstly there is nothing to indicate who owned this collection in the first place; secondly, although there seems to be a plethora of dance schools operating in Weymouth today, none of them have been established more than ten or twenty years so I can’t identify the school where most of the photos were taken. 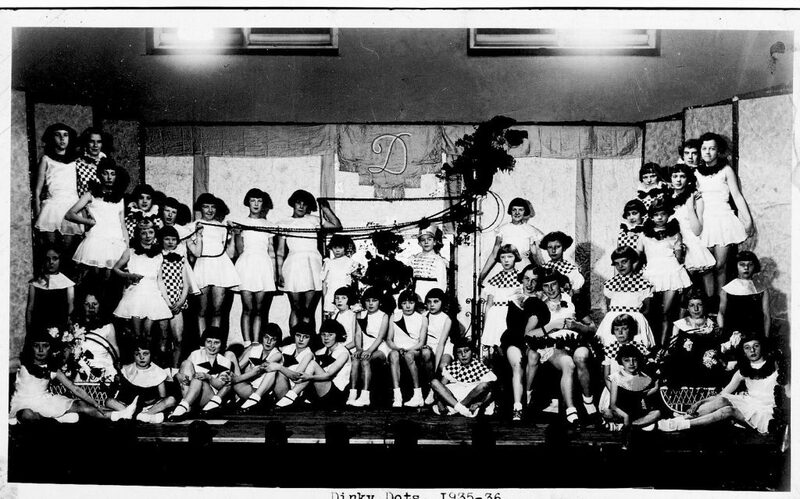 I would say that the productions featured indicate that this was a group of amateurs but with serious ambitions. 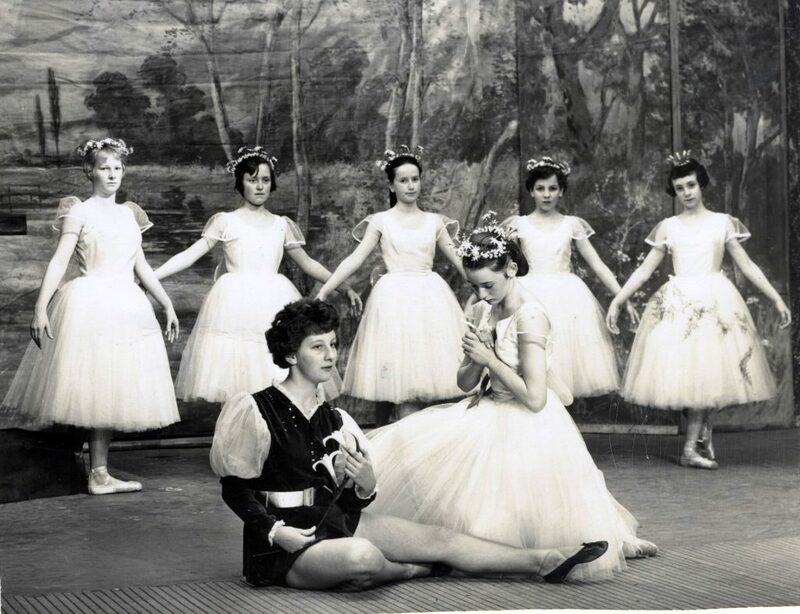 See for instance the shots from the production of Giselle helpfully dated 1961. 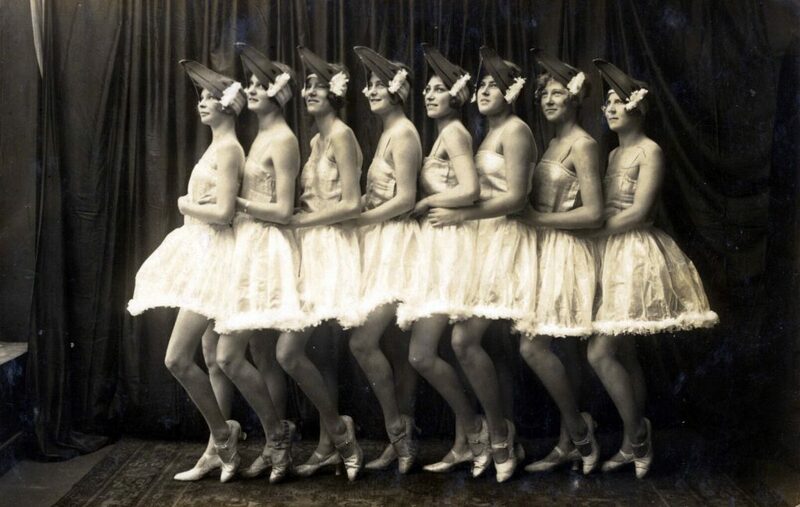 A feature of the productions is that, as far as I can tell from the photographs, all the parts were danced by females. 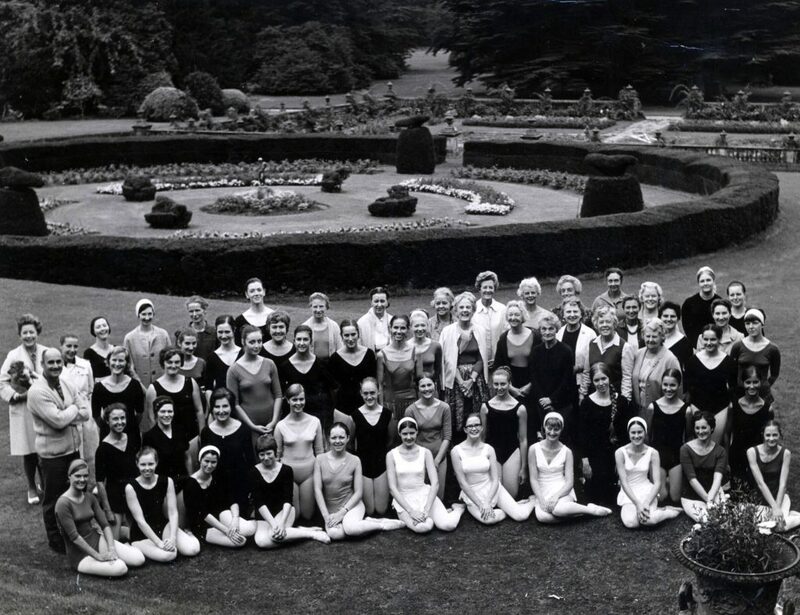 I haven’t found a photograph with a male dancer. 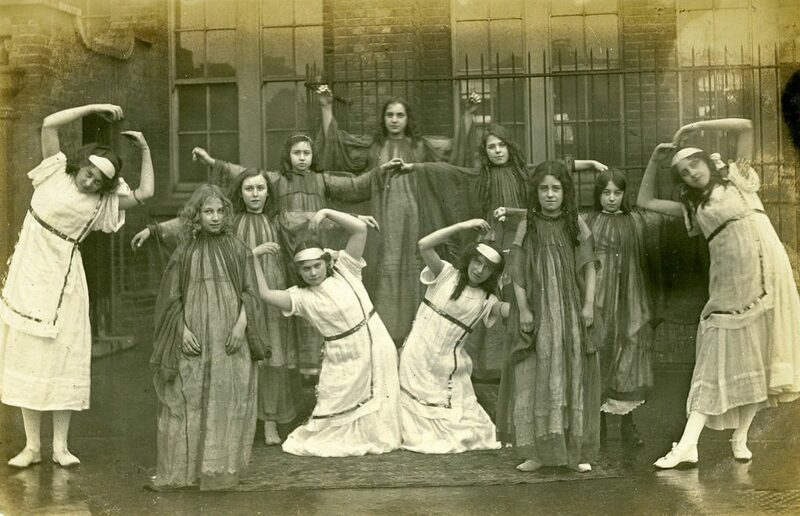 Other photographs indicate that this school, and it isn’t certain all the shots came from a single place, also ran dance classes covering all ages. There are shots of classes full of young girls and others full of mature females. Two males who do feature in the album are Cyril Beaumont, dance historian and president of the Cecchetti Society (of which more in a moment) and Anton Dolin, a principal dancer with Diaghilev’s Ballets Russes in the 1920s and Vic-Welles ballet in the 1930s. 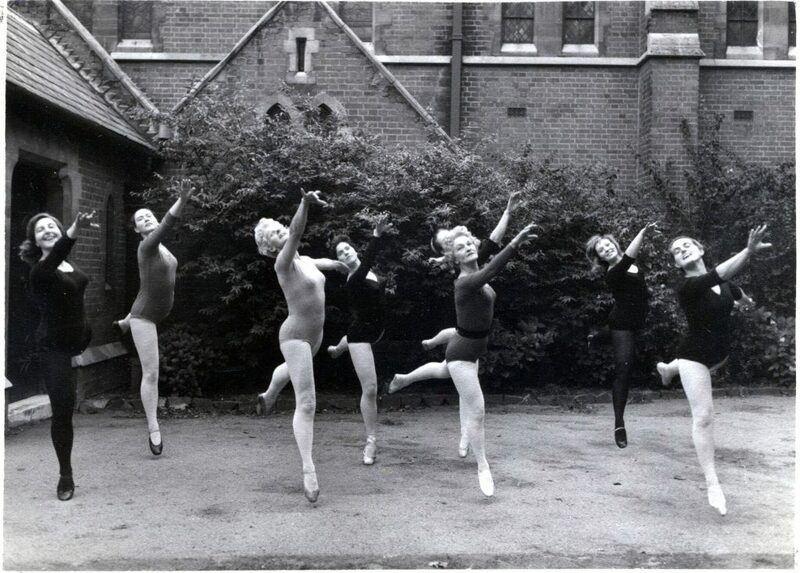 As Dolin appears in the photograph with several ballerinas taken by Harry Taylor of Bournemouth I assume he at least paid a visit to the school. 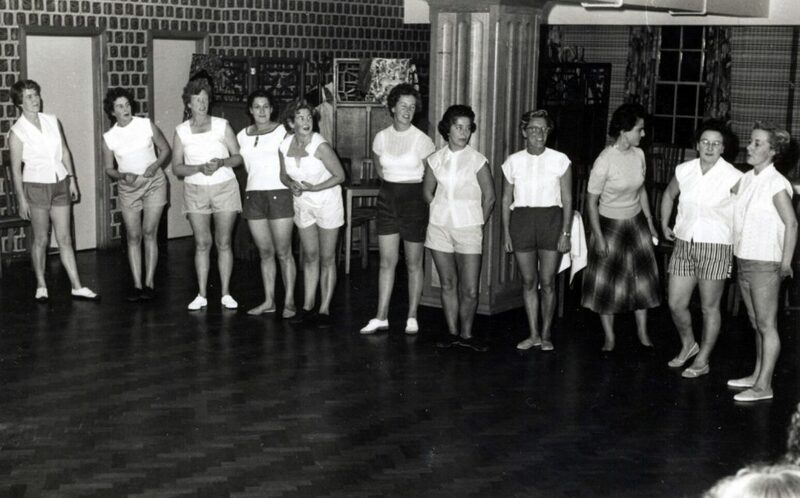 There is a series of group photographs noted to be summer schools from 1958, 1959, 1960, 1962, 1965, and 1969. There was a word I couldn’t read on the back of some of these shots but I eventually deciphered it as Cecchetti. 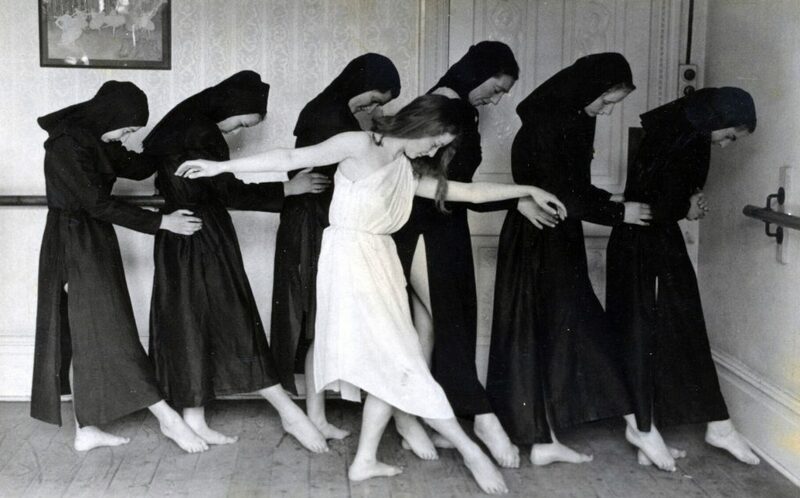 This is apparently a method of teaching classical ballet dancing devised by Enrico Cecchetti and now promoted by the Imperial Society of Teachers of Dancing. 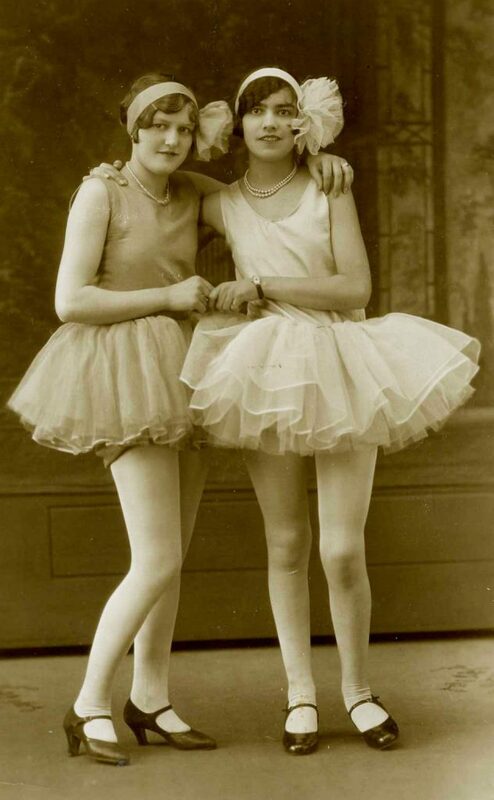 I’m the first to admit that I know almost nothing about ballet – I’ve been to the ballet maybe half a dozen times in my life but doing this research is teaching me a lot. As I mentioned, the photographers responsible for these shots are varied although one name appears quite often – that of Harry Taylor of Bournemouth. Taylor, now deceased, was known as “Flash Harry,” presumably after the character in the early St Trinian’s films. His moment of fame seems to have been photographing the Beatles who played several times in Bournemouth, a nearby town to Weymouth. 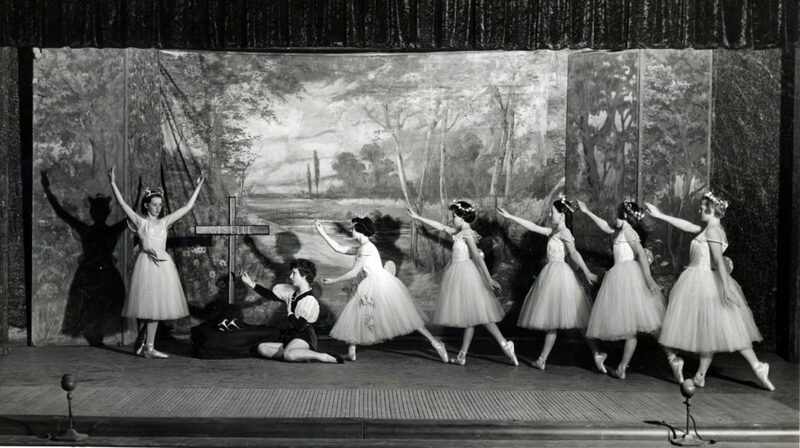 His ballet photographs were mostly framed in a distinctive white border (not always reproduced here). Some of his work, if indeed it was him personally, is very distinctive such as the shot of Anton Dolin signing autographs. Sad to say other examples of his work from this collection, whilst looking well-framed and posed, are often poor quality and out of focus on a close examination. 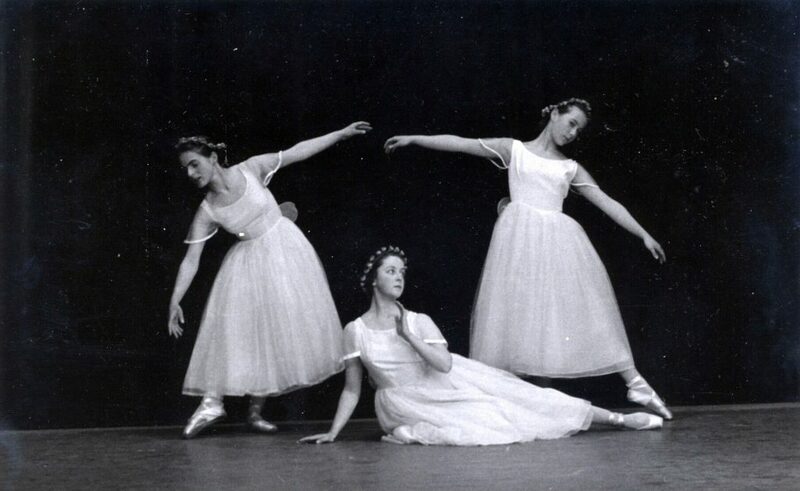 There are several shots of solo ballerinas, some moody and evocative. I particularly like this shot above. Elsewhere there are some great group shots, mostly posed but a couple of well-caught action photographs. 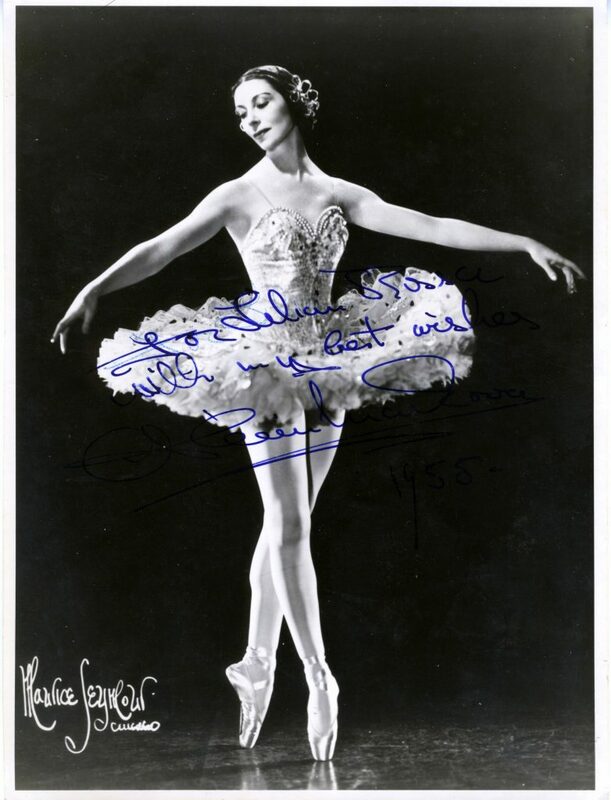 This signed photograph of Alicia Markova is dedicated to Lilian someone but I can’t make out the second name. Could this Lilian be the owner of the album? 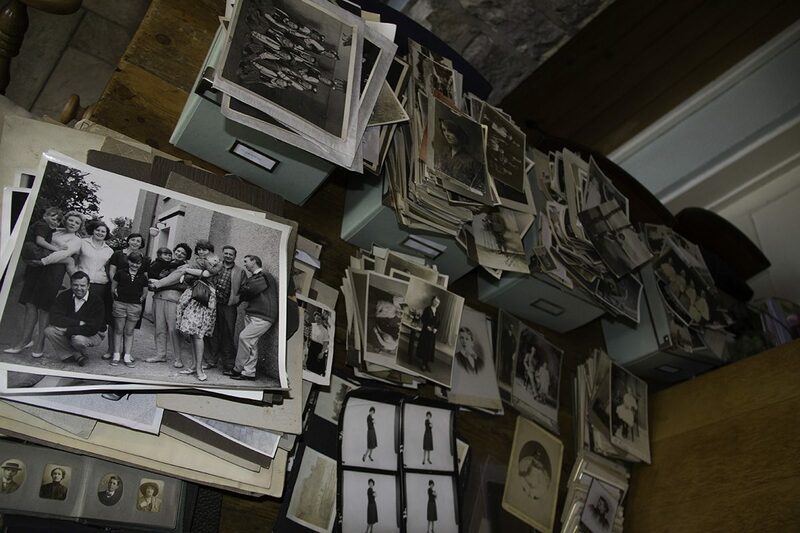 I’ve made the remark before but it always strikes me as sad when a collection like this has become disconnected from the family of the original owner. 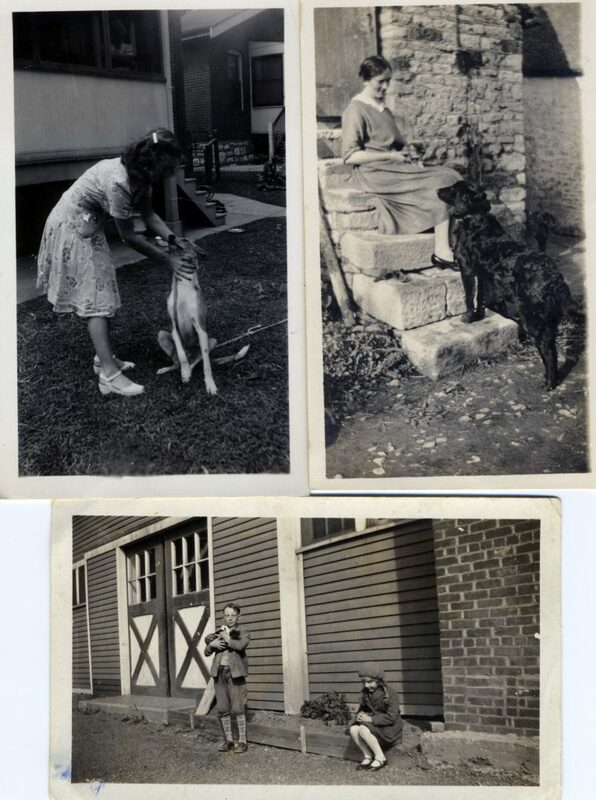 It looks as though this set of photographs and clippings almost certainly belonged to a young girl who maintained her interest in ballet as she grew up – the photos with dates range from 1953 to 1969. 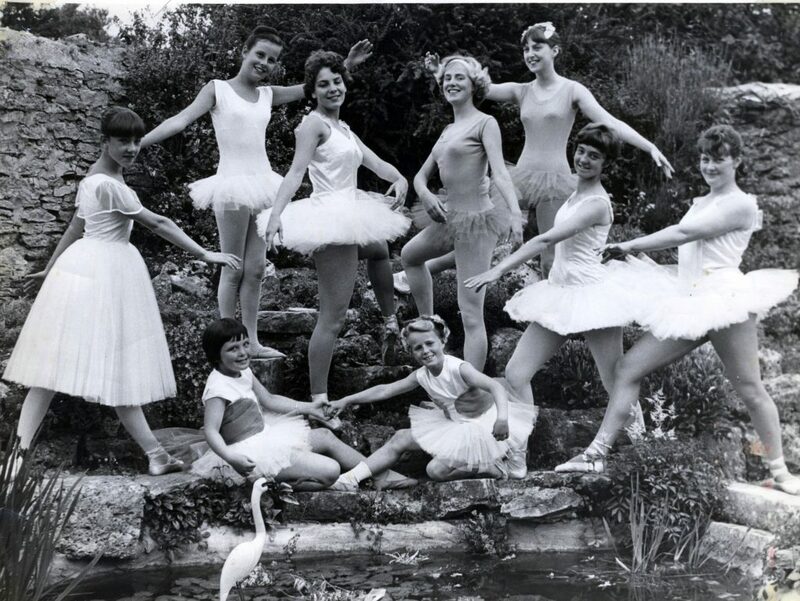 Sixteen years of ballet history that must have been of passionate interest to the collector but ended up for sale on ebay by someone who probably bought it at auction or in a house clearance. It’s a privilege to be able to rescue and preserve collections like this. 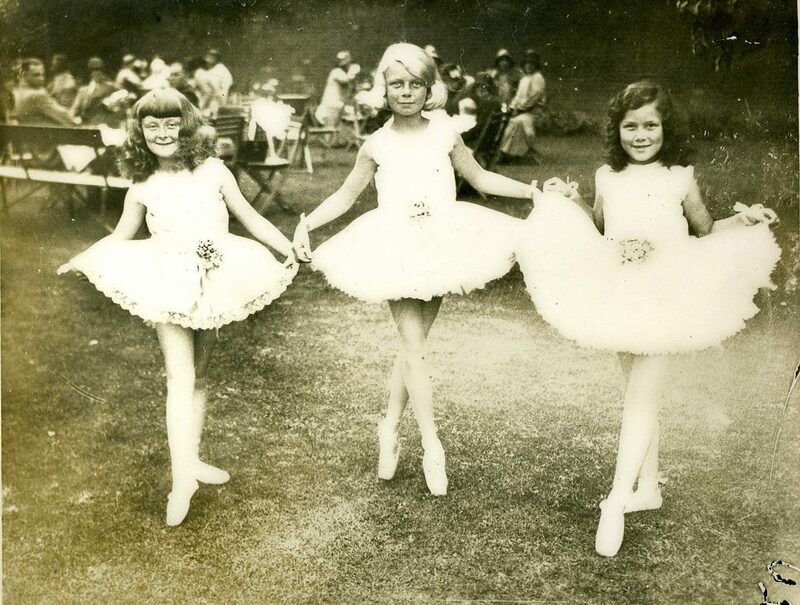 Finally, if anyone does know more about ballet in Weymouth during the 1950s and 60s I’d love to know. 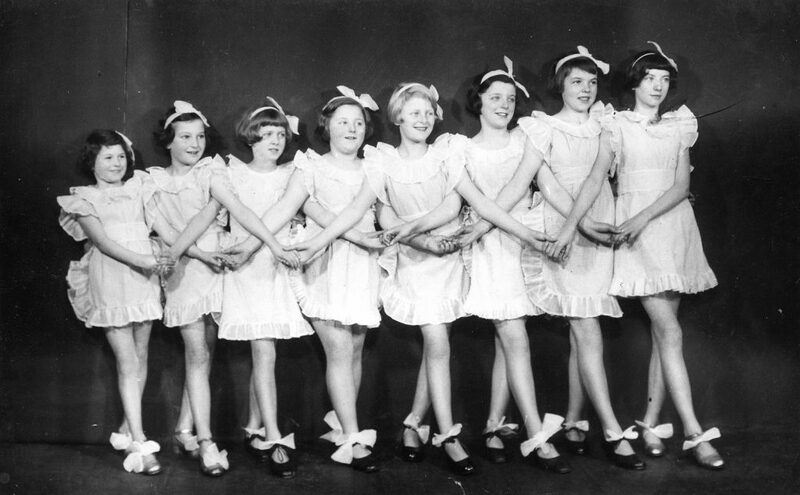 More photos from this collection can be seen in my flickr album of Vintage Dancing Girls. Not at all obsessed but …. 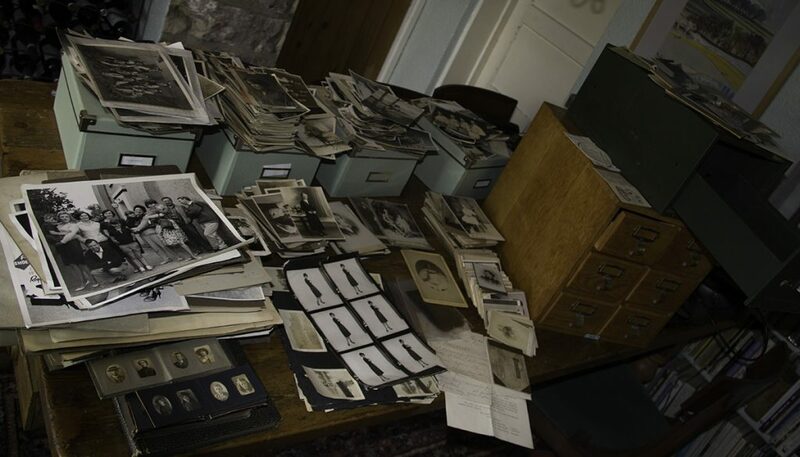 In the beginning I had my small collection of vintage photographs neatly stored in albums or boxes but as time went on little piles of unsorted photographs began to pile up all over the tardis-like room I use as my study. Although I broadly knew what was in each pile (or thought I did) the chaos was not helped by my cats who often decided to mountaineer onto the highest and remotest shelves and knock said piles onto the floor. Yesterday I decided to get the whole collection out on the large dining room table and sort them into more coherent categories. I was somewhat surprised by the number of items to say the least but I persevered with the task. 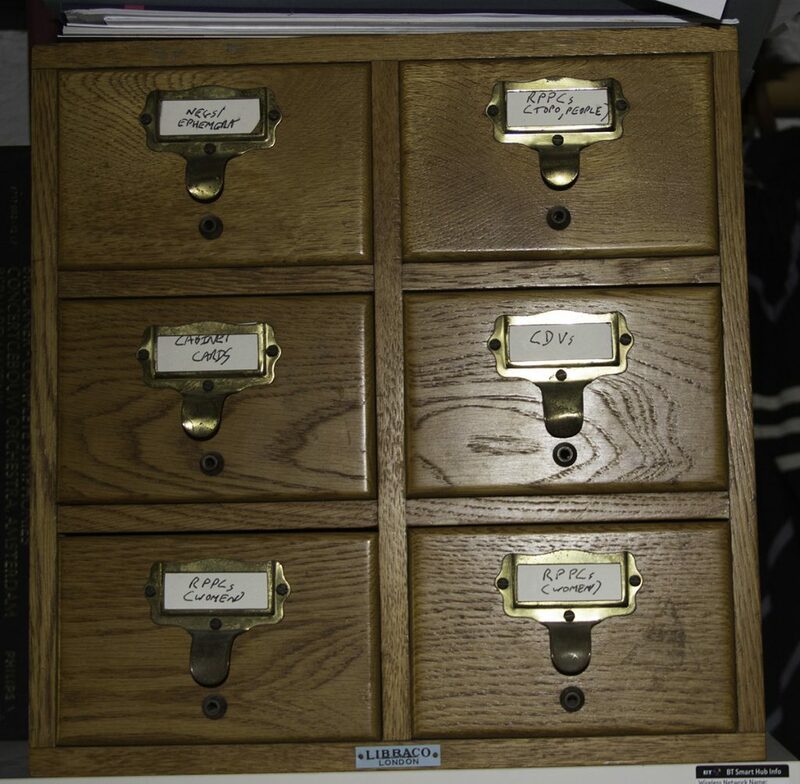 The older and most valuable of the collection, including all the CDVs, Cabinet Cards and Real Photographic Post Cards are now housed in the old card index cabinet shown here. Needless to say the drawers are mostly full and I’ll be in the market for another cabinet. (Incidentally have you noticed how crazy the prices of these card index cabinets has become recently?) 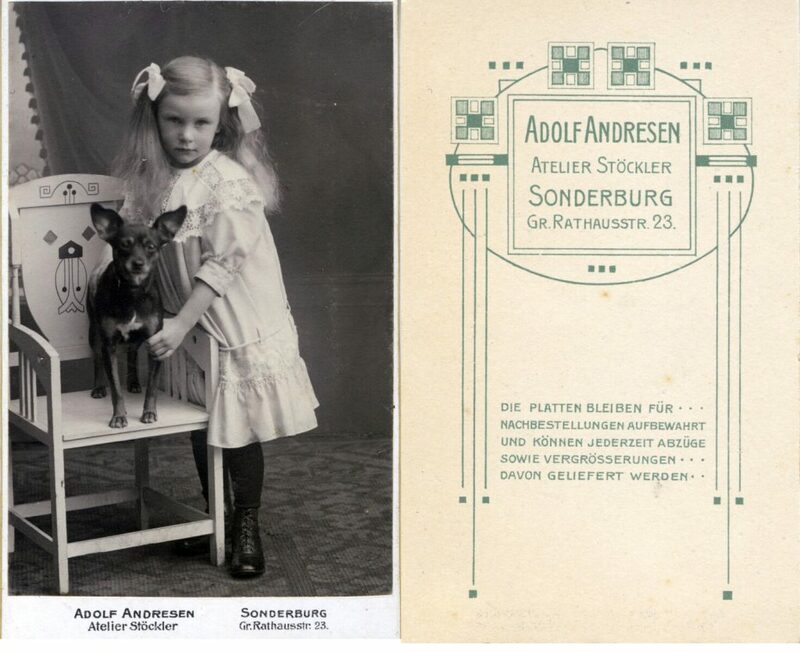 I’ve housed the photographs (as opposed to CDVs, Cabinet Cards and RPPCs) in a series of IKEA boxes and the oversize photographs in larger boxes. Now all I have to do is make sure any further acquisitions are properly sorted. Of course there is the question of how to further sub-divide subjects within the collection and I can feel a database coming on any day now. 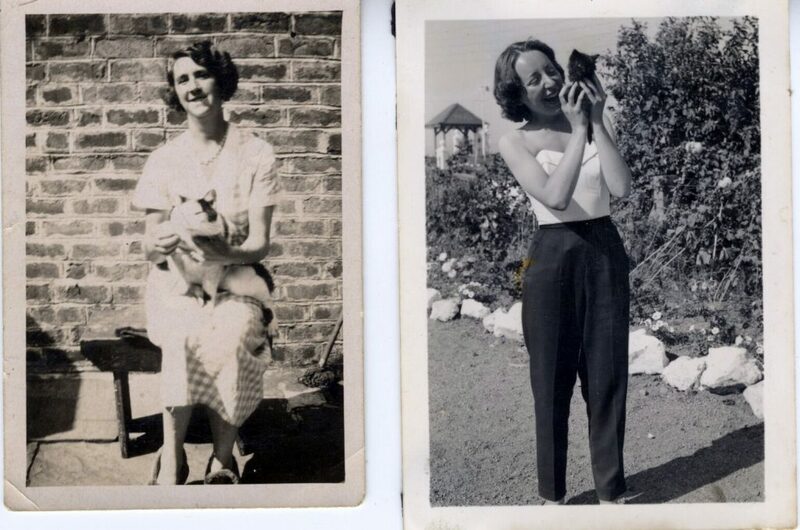 Not that I’m obsessed with collecting old photographs you understand. 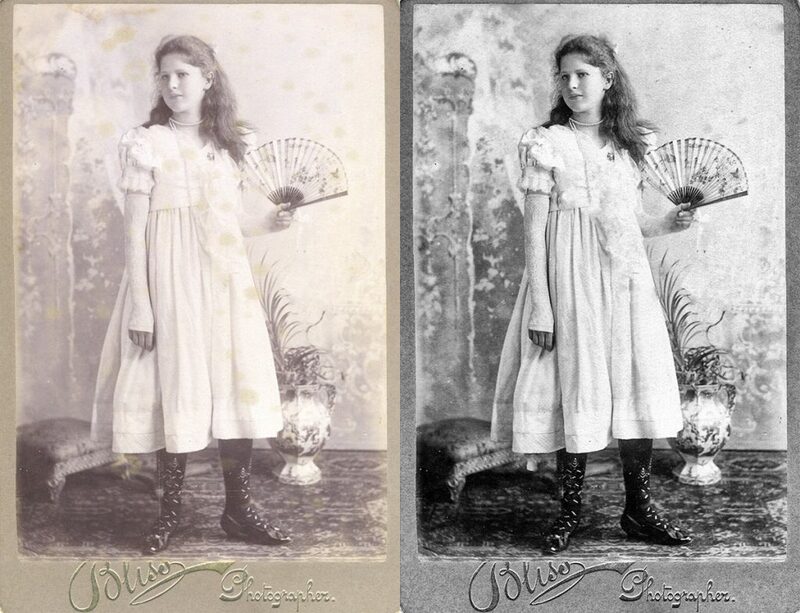 Author alexandmaxinePosted on April 23, 2017 Categories PhotographyTags cabinet card, CDV, photography, vintage dancing girlsLeave a comment on Not at all obsessed but …. 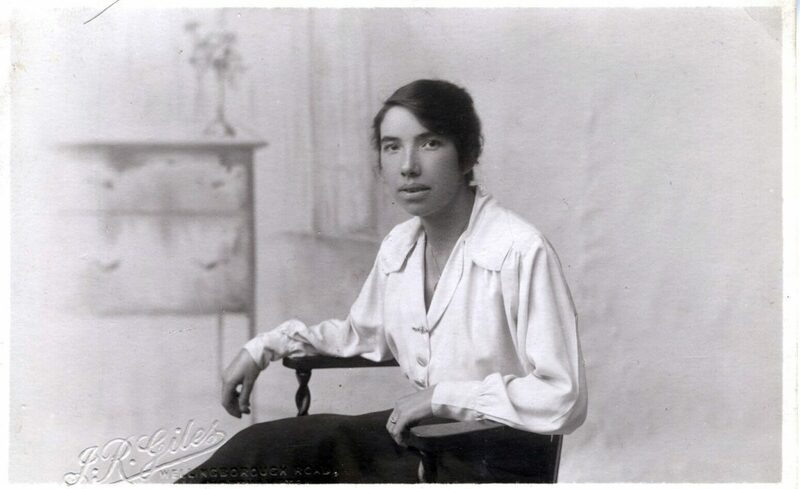 Sometimes I buy single photographs of particular interest to me but I often buy them in lots. I never know exactly what I’ll find in the lots or what studios in what part of the country (or abroad) will be represented. 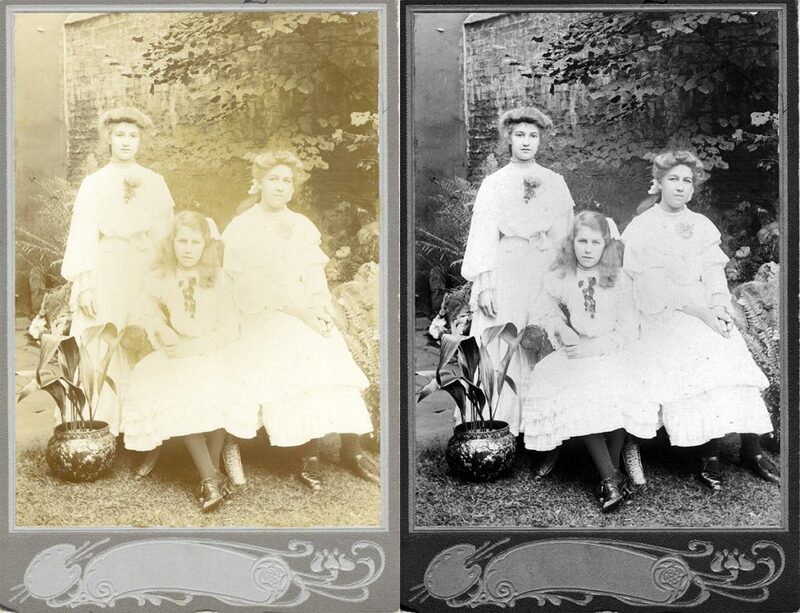 It’s often only when the photos are scanned and enlarged that I can make out the names of studios or photographers. When I saw that this photograph was by JR Giles of Northampton it sounded familiar. Then I remembered. 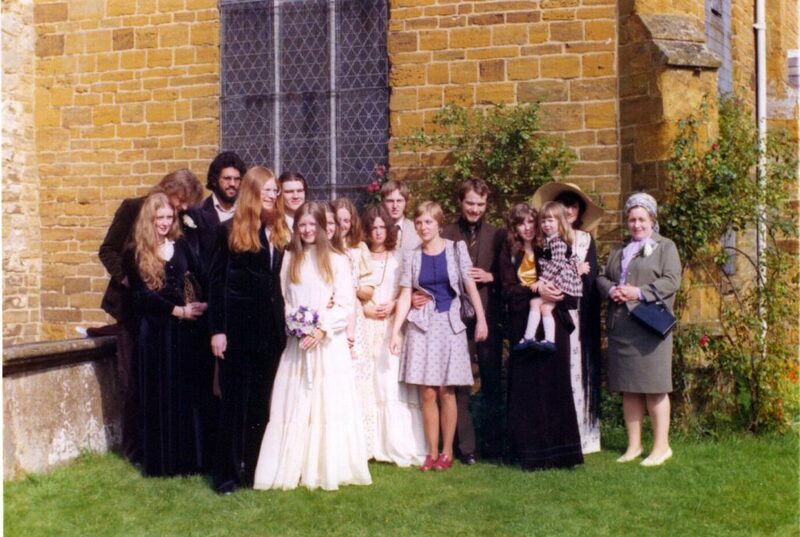 I’ve been married twice and the photographs at my first wedding were taken by JR Giles and son of Northampton in 1974. Pretty obviously this was the son of the original JR Giles. A search on the internet turned up a web page showing that JR Giles, the son, had retired in 2013 and handily the page showed the firm had started life in 1908. 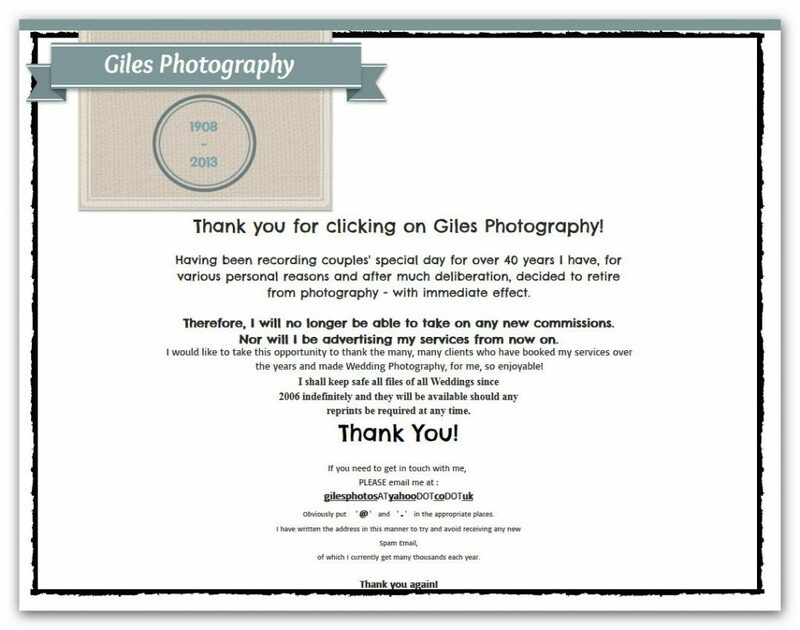 It’s always great to know something about the history of studios and photographers and to be able to link this firm to my own life is very satisfying.